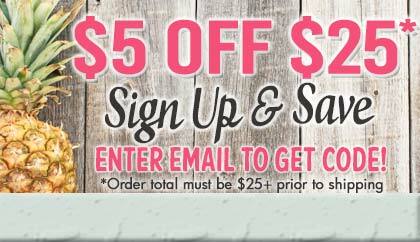 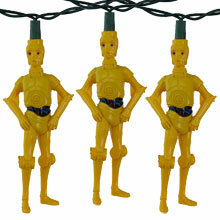 Star Wars has finally arrived at Oogalights.com! 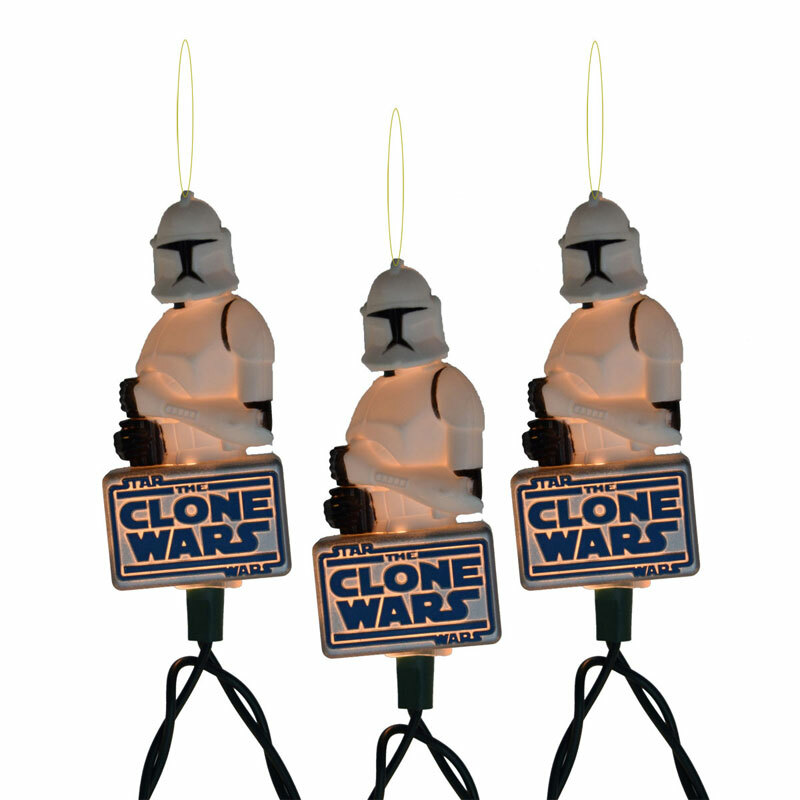 This ten light set has 10 clone wars storm trooper character light covers on a 11.5 foot green strand. 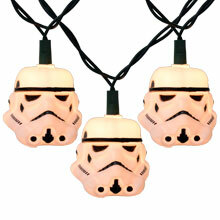 These storm trooper lights are perfect for any Star Wars fan. 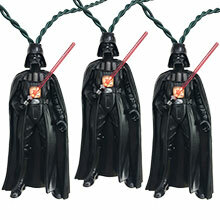 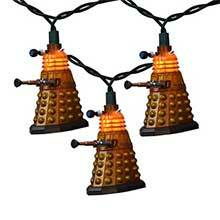 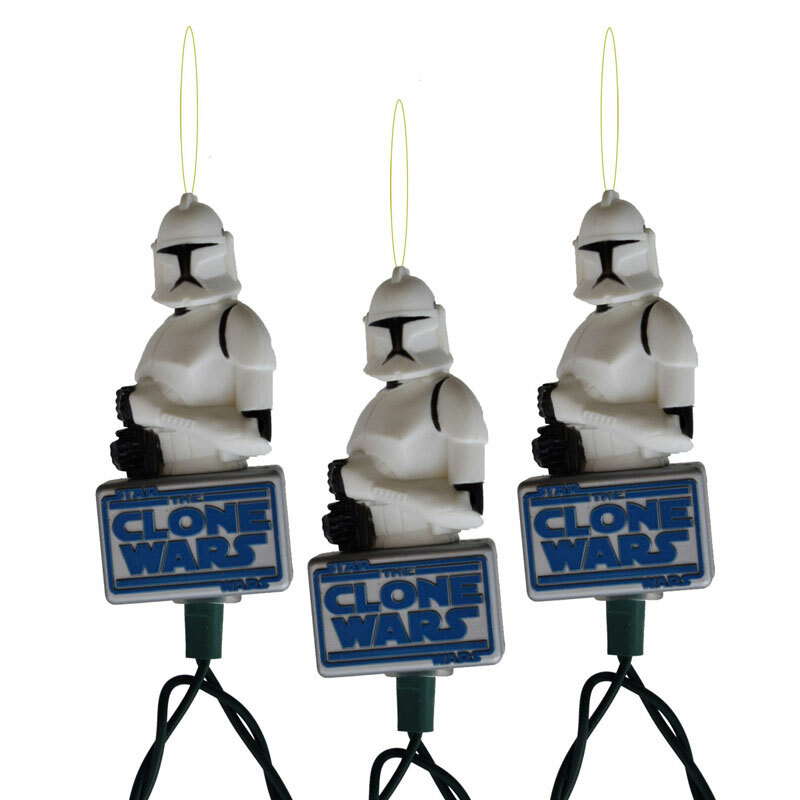 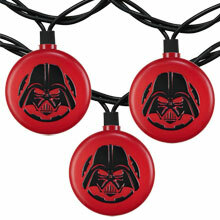 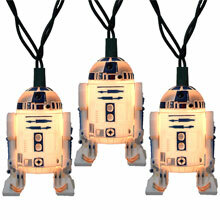 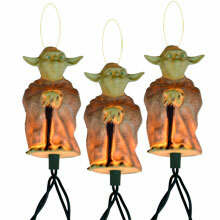 Hang this light strand in your man cave, in your dorm room, for Star Wars themed birthday parties, on your Christmas tree, or with your Star Wars novelty collection.